Sold by Les Américains and Fulfilled by Amazon. Gift-wrap available. First they took French. Then they took leave of their senses. They bought a 400-year-old cottage in rural France from an ad on the Internet. Their "completely restored" farmhouse certainly looked charming, but the pool leaked, the walls cracked, and the electricity fizzled whenever they switched on the kettle. This is the wry and witty memoir of les Américains, Eileen and Marty, joined by their chef-daughter Sara. Their dream of being French leads them into uncharted territory where "oh la la" takes on a whole different meaning. Before they can even move in, a freak accident destroys the interior of the house. An ancient wisteria threatens to uproot the kitchen floor. The wildlife continually tries to take up residence, and the pool becomes a watery hole that swallows up euros. And then there's Jacqueline. The only way Les Américains can salvage their sanity is by adopting a simple, time-tested mantra: "Have a setback, have a drink." Soon they're buying rosé by the case. 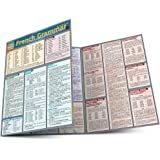 Whether you're a traveler, foodie, Francophile, or home-improvement veteran, Beginning French will enchant you with its vivid portrayal of part-time life in southwest France. Home chefs will enjoy the 12 Dordogne-inspired recipes, and English speakers will appreciate the interactive glossary of French terms. Sold by Les Américains and ships from Amazon Fulfillment. 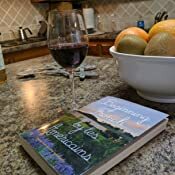 Start reading Beginning French: Lessons from a Stone Farmhouse on your Kindle in under a minute. 5.0 out of 5 starsEnchanting! BEGINNING FRENCH is not so much a book as it is the opportunity to spend the evening over a glass of wine with a delightfully witty couple you’ve always wanted to meet. As the title of the book deftly implies, the authors are learning not only the French language, but the unique and absorbing “art of being French.” Their journey takes the reader from those first tentative French language classes through a series of life lessons cleverly disguised as chapters on the way to realizing a life-long dream of living in Europe. In a voice that is intelligent, witty, and self-deprecating, the authors share with us the delights of living in a provincial farmhouse (with a magnificent view!) in a small hamlet in the Dordogne, and the inevitable tribulations of the minor (and not so minor) catastrophes that accompany home ownership in an unfamiliar culture. The descriptions of the wonderful friends and neighbors who help them to cope are so clearly drawn, I feel that they, too, share this evening over a glass of wine, and perhaps some of the mouthwatering dishes produced by daughter Sara. Many of these recipes are offered in the book, and linked to the website. I am determined not to give anything away that might spoil the reader’s experience; however, it must be said that I am full of admiration for the 'formidable' Eileen, who faces down an irate chef armed with his butcher knife; brings a smile to the face of a taciturn tax agent; and deals with aplomb the task of relocating the large, hirsute spiders from the house to the garden where they can “scare the bejeesus out of the other bugs.” And because I have promised not to give too much away, I shall say nothing of the wabbit. I am hopeful that the authors will continue to chronicle their experiences (and their heavenly duck burgers) for us to enjoy. So, pull up your favorite chair, pour a glass of red wine, and enjoy an enchanting evening with Marty and Eileen at their stone farmhouse in the Dordogne! Your visit will be truly 'formidable!' I can't wait for the next one. Beginning French sweeps you off your feet with the promise of living vicariously through the dreams and realities of restoring an old home in France, while gaining funny and insightful perspectives on treasuring life, friends, and love. Told in a way that makes one feel as though they are at the dinner table with the author, hearing a great tale experienced from the day before. Think: HGTV's House Hunter's International Restoration meets A Good Year, with a dash of Lost In Translation and Chocolat. Truly a delight to read and re-read. 5.0 out of 5 starsEntertaining memoir! My wife and I love to travel. We love new villages to explore, new streets to stroll, and new trails to hike. We love museums and trains and hotels. We love mountains and pastures and lakes. But our travels aren't complete unless the food is as remarkable as the other experiences of our trip. “Beginning French” by Les Américains captures the excitement and beauty of a European adventure and delightfully makes sure to include the meals for every story. And the wine. 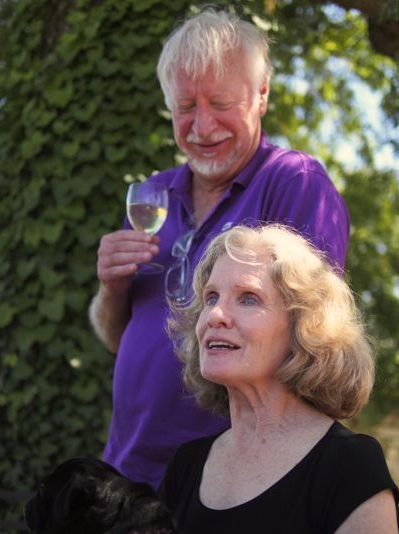 Two Californians decide to buy a second home in the French countryside and live the good life. They find that the good life takes a lot of hard work and “bonne chance”. This book shares pleasant afternoons and fair French evenings intertwined with plenty of the unique characters and exasperating situations that Americans inevitably find themselves confronted with in Europe. And,of course, food and wine. I enjoyed living vicariously through these Americans as they try to live the French country life and find that their dreams do come true, just not the way they thought they would. Humorous and entertaining, this book is a great summer read, especially if you know you aren't making it to Europe this year. Sit outside with a glass of Rosé and roasted figs with goat cheese you have prepared from a recipe in the book, and dream of your next voyage à l’étranger. A wonderfully told story of the ugly, the bad and the beautiful of owing property and and enjoying a lifestyle in France. An American couple, and their daughter, a professional chef in States, purchase a beautifully restored home in the French countryside. Mais mon dieu, Mother Nature has her own plans. You will enjoy the journey as they rebuild, settle in to the rhythm of life, and enjoy the bounty of their village and region.. Added bonus- their daughter Sarah includes recipes for every appetizer and dish she prepares...and wait, there's more! You are able to sign up for emails containing more recipes, and updates of this delightful family en France. 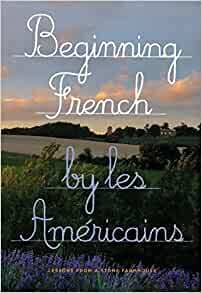 One of the very best books I have read about Americans creating a home and lifestyle in France. Sometimes you just need to "get away" and when that is physically impossible, books provide the opportunity to travel without logging in the miles. That is what happened when reading Beginning French. I was transported out of my crazy world and into Marty and Eileen's as they navigated the reality and challenges of a dream come true. Heartfelt, funny, warm, personal and very well written, they share their real experiences as they live in a new/old culture learning a language, making friends, civilizing a 400 year old stone farmhouse, dancing, drinking wine, and cooking wonderful food with their chef daughter Sara. Oh to have such curiosity, courage and humor to follow that big dream. Splendide les Americains!